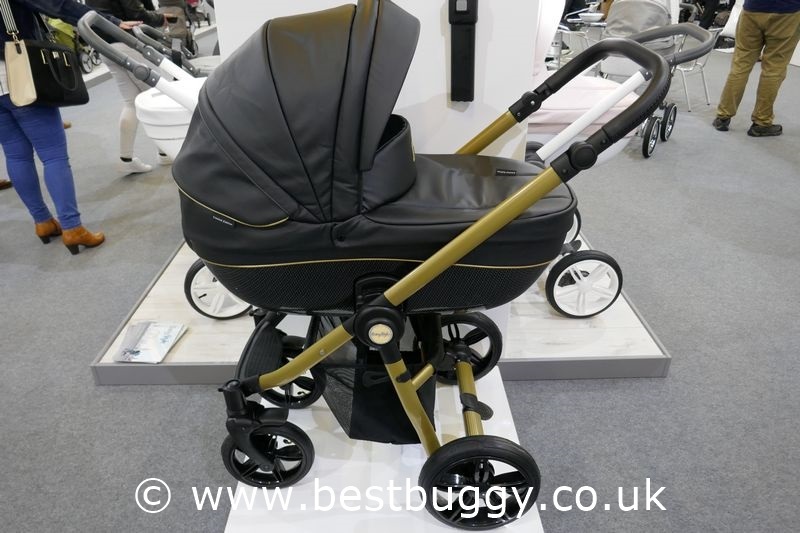 The Babystyle Prestige traditionally is a classic British pram. 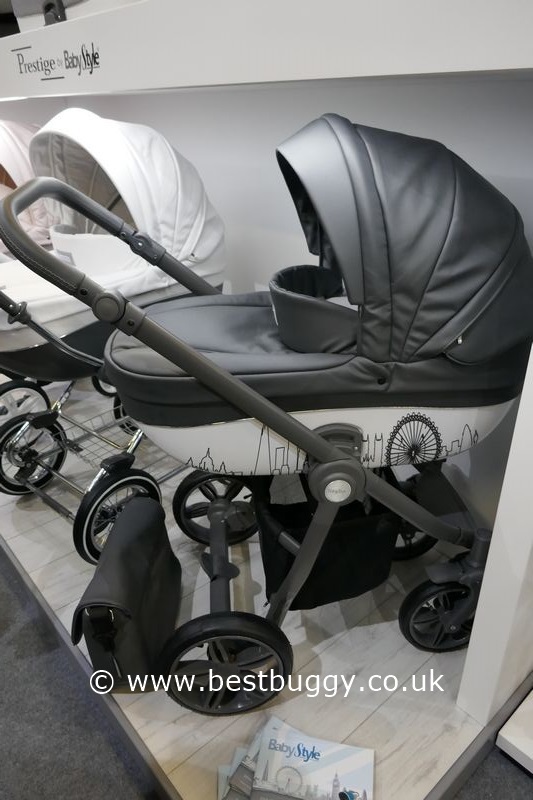 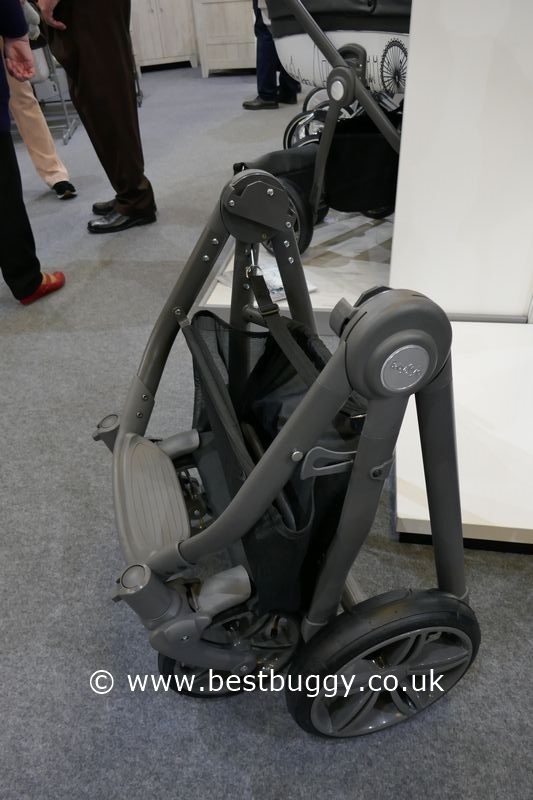 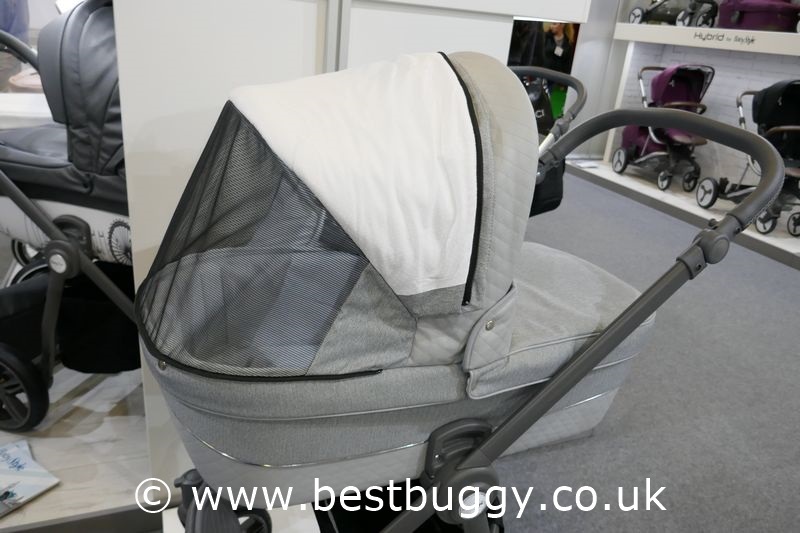 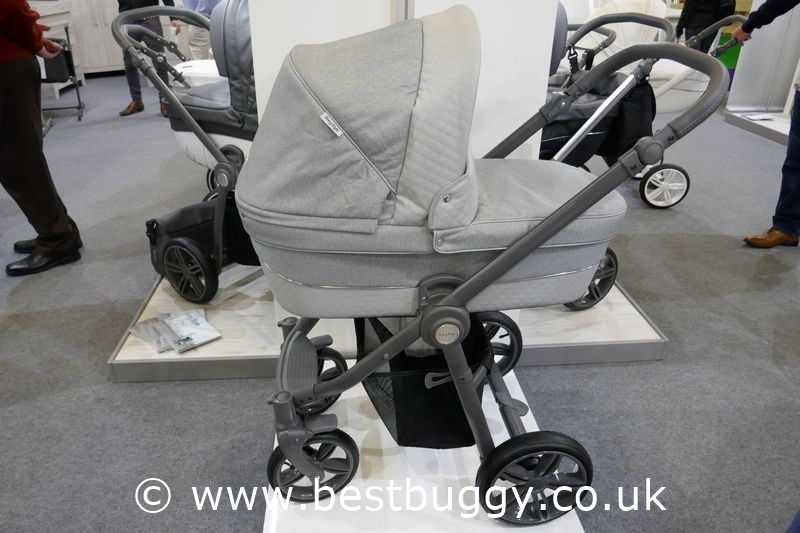 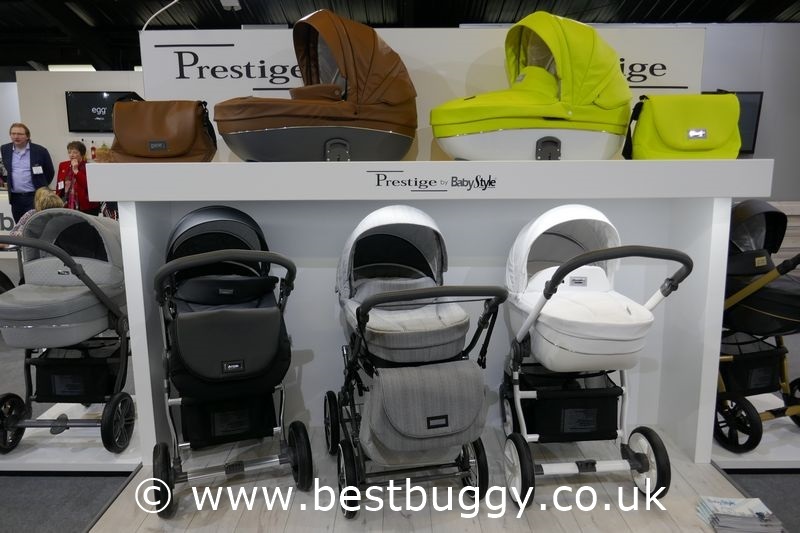 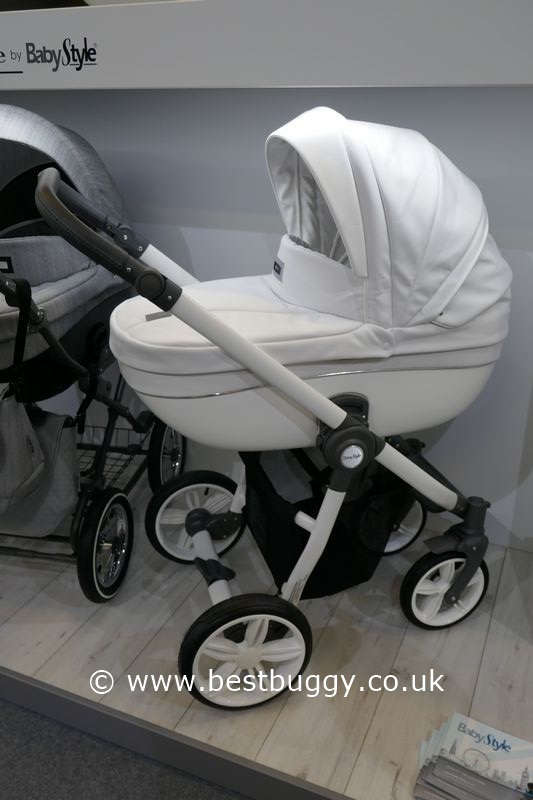 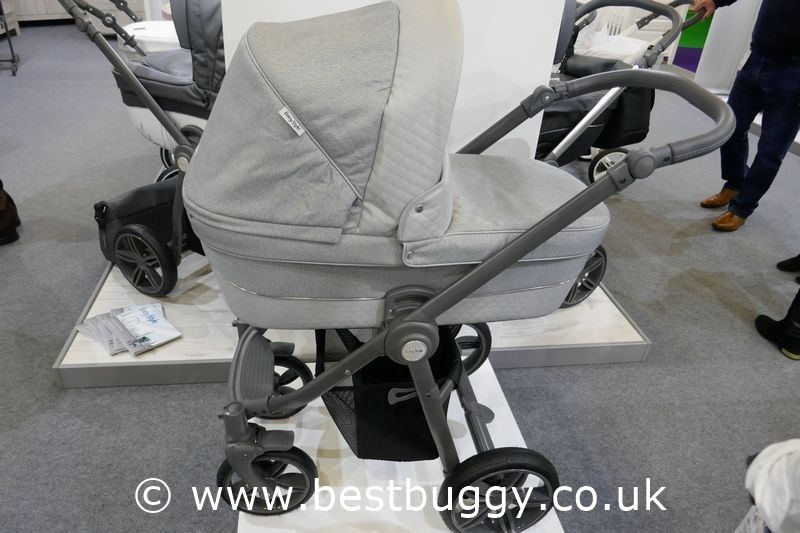 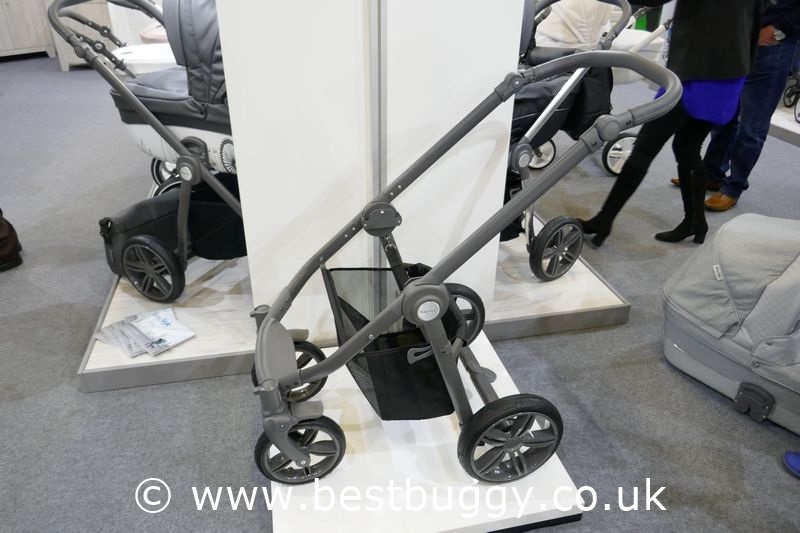 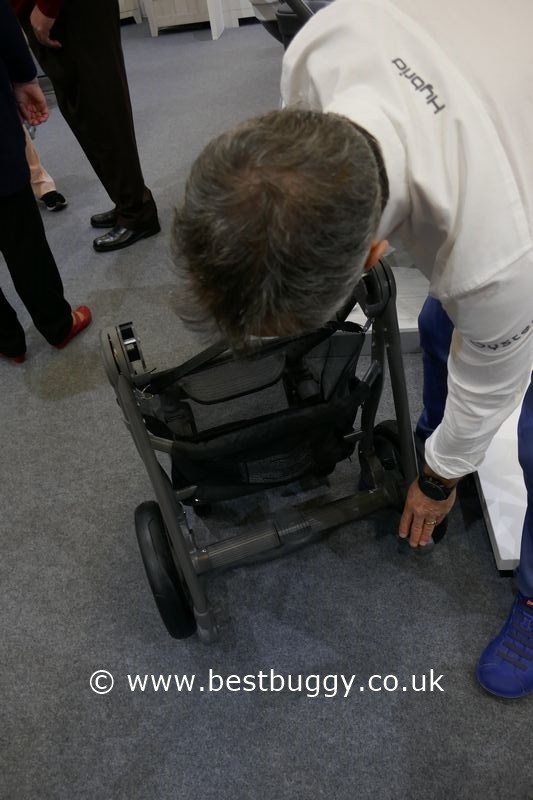 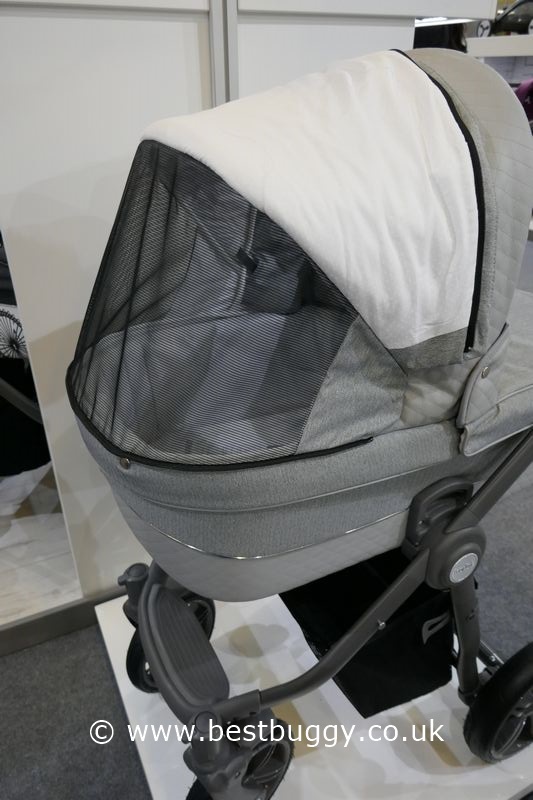 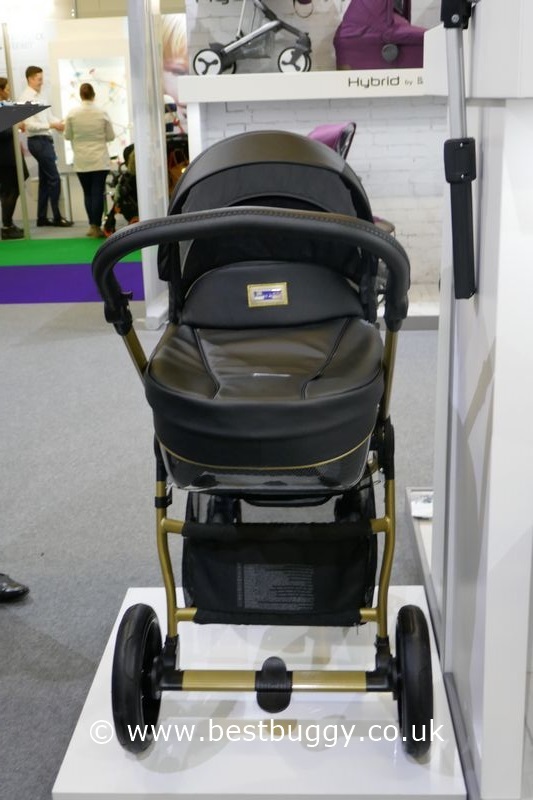 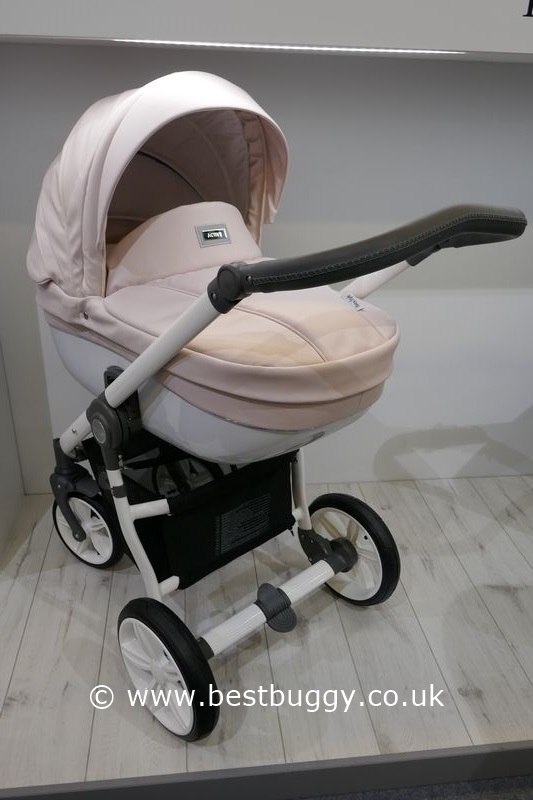 However, Babystyle have responded to calls to give it a 21st century twist, and are introducing a new sports style chassis to go alongside the traditional carrycot. 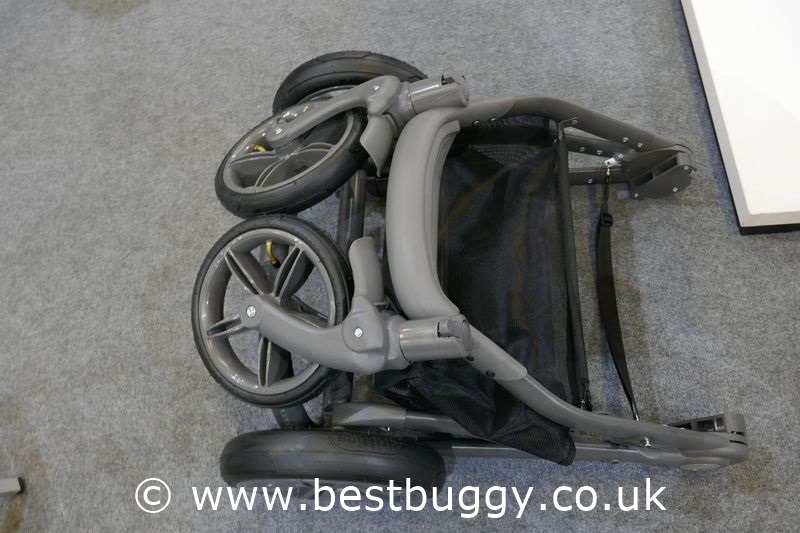 This chassis is very easy to fold – simply pull the handle in the centre of the chassis, and it folds into a very compact size. 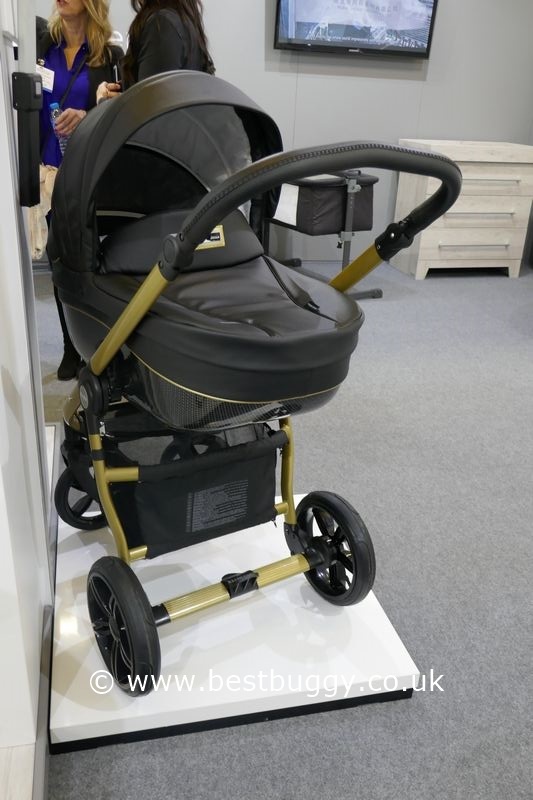 This should make the Babystyle Prestige a more attractive option for those with limited storage space, or who simply prefer the manoeverability of swivel front wheels. 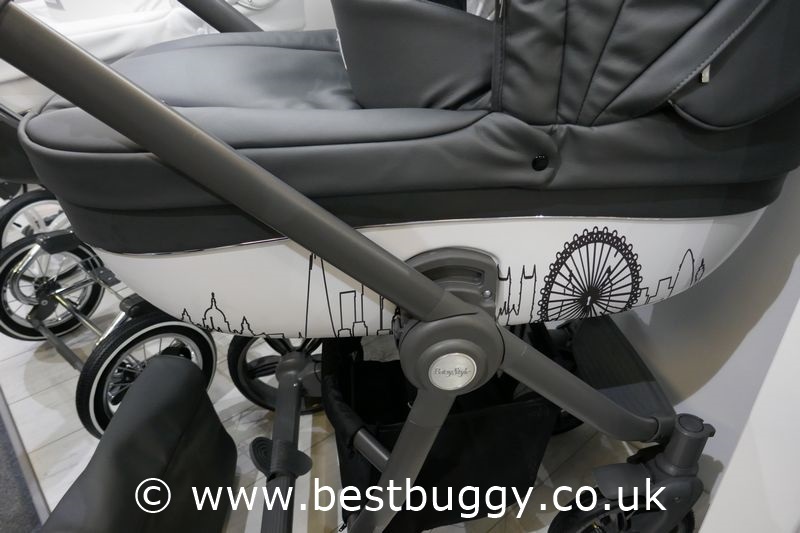 We particularly loved the baby pink fabrics, and the carrycot body design with the London skyline on it. 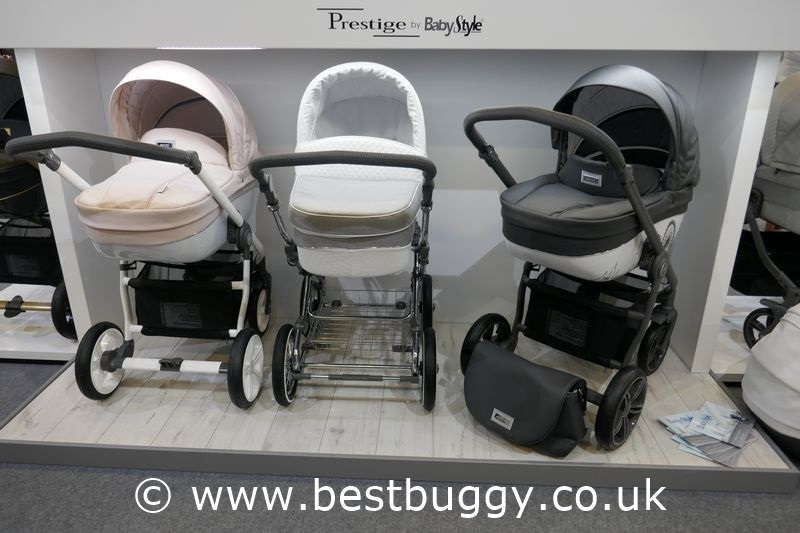 However, we think there will be a colour or style for everyone in this range!